Who misses the fireworks and festivities from yesterday? I do! For me, there's nothing that represents summertime more than the 4th of July. Just because Independence Day has come and gone, doesn't mean you can't still show a little patriotism. Afraid of wearing the stars and stripes? Don't be. Instead of going all out with bold flag prints, try incorporating red, white, and blue in smaller doses. While the scarf above screams USA it's not obnoxious. What do you think about flag fashion? Would you wear it? This weekend is the birthday of my bestest, oldest (as in she's soon to be ancient) friend, Kathrin of Shop.School.Sleep. She's throwing a shindig to celebrate and I can't wait to relive the amazingness that was her 21st birthday. Here's to puking in public bathrooms! Since I was only 20 I couldn't legally drink, but I made sure she had enough for the both of us! 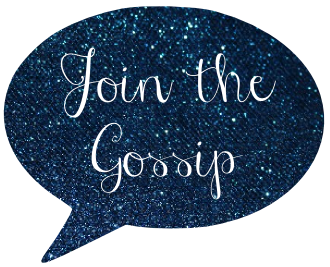 Come back Monday for a little gossip! Love this look. The shirt i love and that purse is perfect, must have. And that picture? Been there. So done that. yeah the outfit is nice...and OMG that picture hahhaha..see you tomorrow!! HA! Love that pic. Could have been (may have been??) much worse! Love that outfit! Saw the pics on Instagram... looked like a fabulous time! Can't wait to read about it on Monday! This is so, so cute! I got a stars and stripes scarf this year but it was too hot to wear. Boo. The scarf is pretty cool. I'm noticing flag attire is becoming more and more the thing to do, along with the 'merica spelling. I'm as patriotic as the next girl but I prefer small doses of the flag wear.